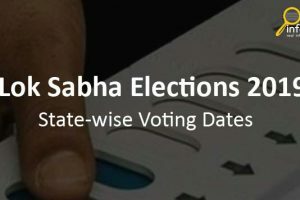 Lok Sabha Elections or General Election will be held this year in the month of April or May 2019. Before the election, many polling agencies judge the mood of Janta and released opinion poll along with projected seats and vote share. 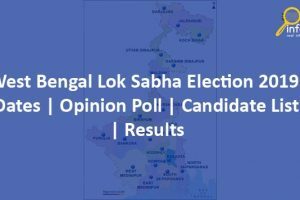 Check here state wise opinion poll of 2019 general elections. 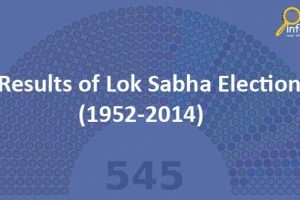 Lok Sabha Election will be held in the month of April or May 2019. The political party of each state has started to find the right candidates for their parliamentary constituency. 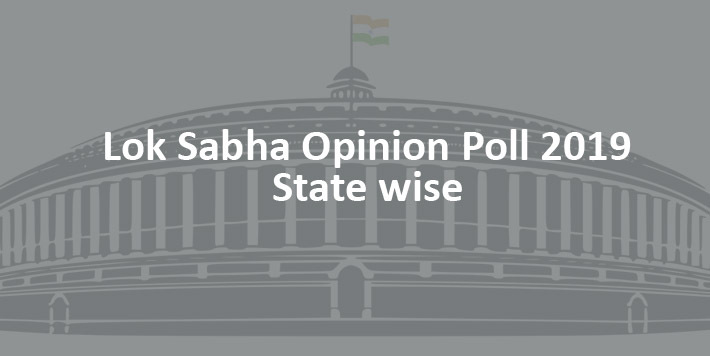 The opinion agency has also started to release state-wise seat projection i.e state-wise opinion poll of general election 2019. The table shows the vote share and the number of seats of each political parties. According to an opinion poll, BJP will win 22 seats, if elections are held today in Maharashtra (i.e 5th Jan 2019). The NCP leader Nawab Malik said, our number will be high. * Maharashtra (48 seats) – NDA is slated to get 43, UPA 5, Others 0. * Goa (2 seats) – NDA and UPA are predicted to win one each. * Jharkhand (14 seats) – UPA is predicted to win 8, NDA 6, and Others 0. As per Jharkhand opinion poll, BJP may win 7 seats in Jharkhand, JMM 4, Congress 2 and JVM 1. BJP will perform very well in Jharkhand, says Shahnawaz Hussain. As per India TV CNX Opinion Poll 2019, If elections are in held in Bihar today, BJP may get 22% vote share and 13 seats Bihar. On an all, NDA is expected to get 27 seats, Mahagathbandhan 13 if elections are held now. * Bihar (40 seats) – NDA is predicted to win 25, UPA 15, and Others 0. * Madhya Pradesh (29 seats): NDA is predicted to win 23, UPA 6, BSP and Others 0. * Karnataka (28 seats): UPA and NDA predicted to bag 14 seats apiece. * Gujarat (26 seats): NDA is predicted to win 24 seats, UPA to get 2 and Others 0. * Andhra Pradesh (25 seats): YSRCP will get 23 and TDP will win two seats while UPA and NDA won’t get any seats. YSRCP set to sweep Andhra Pradesh. Jagan likely to bag 23 seats and may end up playing kingmaker. Uphill task for AP CM N Chandrababu Naidu and NDA. * Rajasthan (25 seats): NDA slated to win 17 seats whereas UPA will get 8, BSP and Others won’t get any. * Odisha (21 seats): NDA is predicted to win 13 seats, BJD 8, UPA and Others won’t get any. * Telangana (17 seats): TRS predicted to win 10, UPA to get 5 whereas NDA and Others will get 1 each. * Assam (14 seats): NDA is predicted to win 8, UPA 3, AIUDF 2, and Others 1. * Punjab (13 seats): UPA is slated to get 12 seats, AAP 1, NDA and Others won’t get any. * Chhattisgarh (11 seats): UPA is predicted to win 6, NDA 5, whereas BSP and Others won’t get any. * Haryana (10 seats): NDA is predicted to win 8 Lok Sabha seats and UPA to get 2. * Delhi (7 seats): NDA is predicted to win 6 Lok Sabha seats whereas AAP will get 1 and UPA, Others won’t get any. * Jammu and Kashmir (6 seats): National Conference is predicted to get 4 seats, whereas UPA and NDA will get 1 seat each; PDP and Others won’t get any. * Uttarakhand (5 seats): NDA is predicted to win all the 5. * Himachal Pradesh (4 seats): NDA is predicted to get 3 whereas UPA will get 1 Lok Sabha seat. * Arunachal Pradesh (2 seats): NDA is predicted to win 2 seats, while as UPA and Others won’t get any. * Manipur (2 seats): UPA and NDA are predicted to win one each. * Tripura (2 seats): NDA is predicted to win both the Lok Sabha seats. * Nagaland (1 seat): The lone seat is predicted to go to NDA. * Mizoram (1 seat): One seat is slated to go to NDA. * Meghalaya (1 seat): NDA is predicted to win the only Lok Sabha seat. * Sikkim (1 seat): Others is predicted to win the lone Lok Sabha seat while NDA and UPA won’t get any. * Dadra and Nagar Haveli and Daman and Diu (1 seat each): NDA is predicted to win both the seats while UPA won’t get any. * Daman and Diu (1 seat): NDA is predicted to win the only seat. * Andaman and Nicoman Islands (1 seat): NDA is predicted to win the lone seat. * Chandigarh (1 seat): UPA is slated to get the lone seat, according to the poll. * Lakshadweep (1 seat): NCP is predicted to win the lone Lok Sabha seat. * Puducherry (1 seat): NDA is predicted to win the Lok Sabha seat.